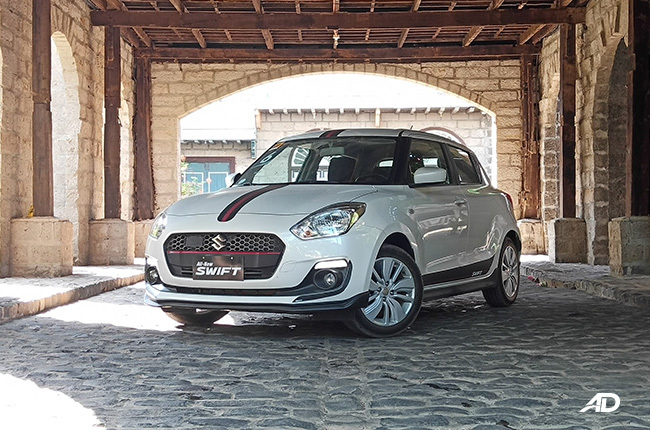 Forget Marty McFly’s DeLorean, the Suzuki Swift is a handsome substitute. How many times have you seen a single Back to the Future movie? Twice? Thrice? I don’t know about you but I grew up watching how a DeLorean’s 88 miles per hour straight drag can bring Marty to whichever timeline he pleases. There was too much fiction and science for my age back then and I never understood time travel as much as some theoretical physicists out there. I just grew up believing it is no more than impossible. Then, just recently, I figured I was wrong. We all travel in time. The thing is, we only do it forward – not back. 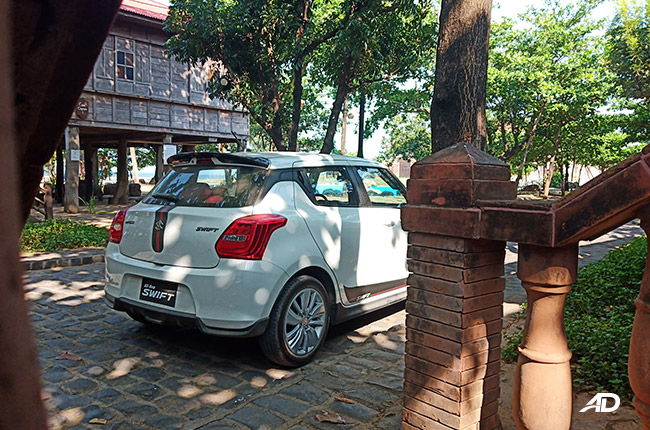 Fast forward to 24 years later (now, that’s time travel), I got invited by Suzuki Philippines to test drive the 2019 Swift all the way to Las Casas Filipinas de Acuzar in Bataan. Now, I may not have those fancy shoes that tie themselves, a hoverboard that levitates two feet off the ground, and most importantly, what I’m about to drive is not a DeLorean. 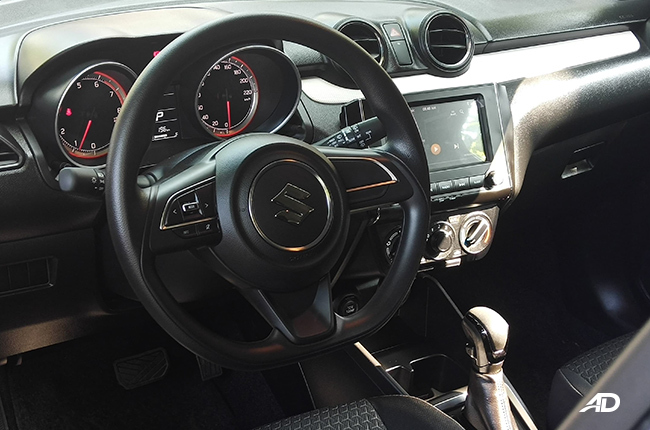 Yet, I felt a bit like Marty McFly last Thursday when I got to travel 200 years back in time inside the 2019 Suzuki Swift. Thankfully, I was able to get back alive and well to tell the legacy. My legacy? 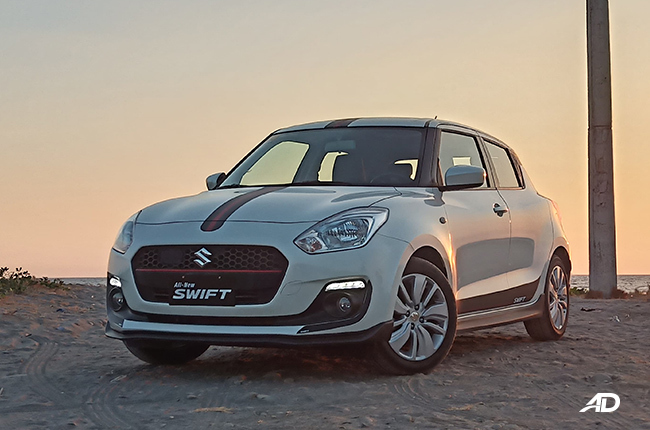 No, the 2019 Suzuki Swift’s legacy. Settle down people, I know this is not a clever comparison. I also do know that the DeLorean is incomparable to its fans but hear me out. When I thought of putting the two side by side, I was thinking of the DeLorean in the movie, with all the gizmos and crazy physics-defying modifications. It sure looked badass just by looking at it and it was one of my childhood dream cars. But, I kind of imagined I actually traveled back to the year Dr. Jose Rizal was born when I was aboard the 2019 Swift – hence, the comparison. 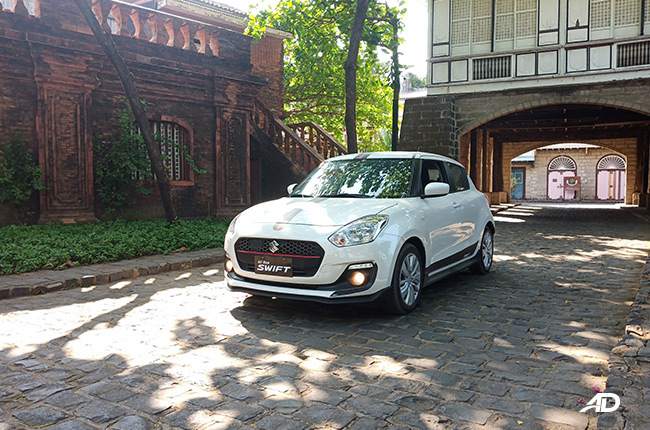 However, I do have to mention the fact that I really am also a fan of the early-generation Suzuki Swift. It’s exterior look (relative to that time) was eye-catching in my opinion. 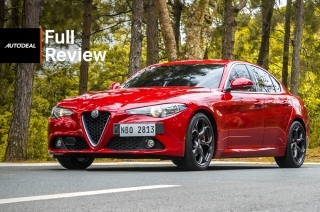 So, what does a regular hatchback have that a two-door sports coupe does not? Fuel efficiency. 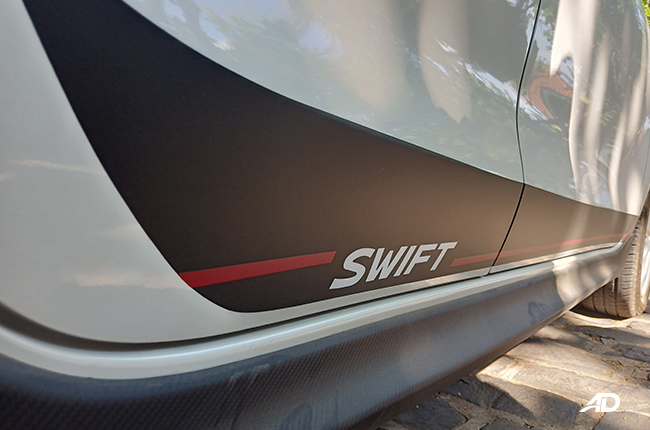 Since the Swift has a more modern technology under the hood, as well as a smaller engine and a CVT as its transmission, I bet it is way more fuel efficient than the sports car. 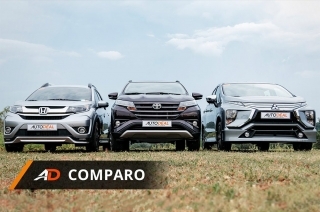 As a matter of fact, it topped our list of the most fuel-efficient reviewed cars in heavy traffic. 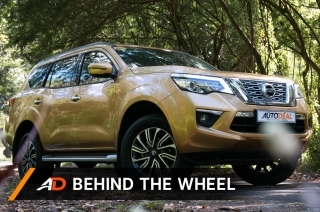 It got the first place with its 11.5 km/L consumption at an average speed of 15 km/h. In terms of technology, however, I bet you can’t connect your Android phone via AutoLink in a 1981 car. Even if it is time travel-capable, there’s not much inside the iconic movie car to play with. I love listening to my favorite tracks while on the road and I’d be happy to trade my DeLorean for the Swift just to do that. Okay, I am exaggerating; I’d have them both, end of argument. As for time traveling? As seen in the movie, traveling in time is a bit complicated and problematic inside the DMC DeLorean, in contrast to the comfortable and smoother experience inside the 2019 Swift. 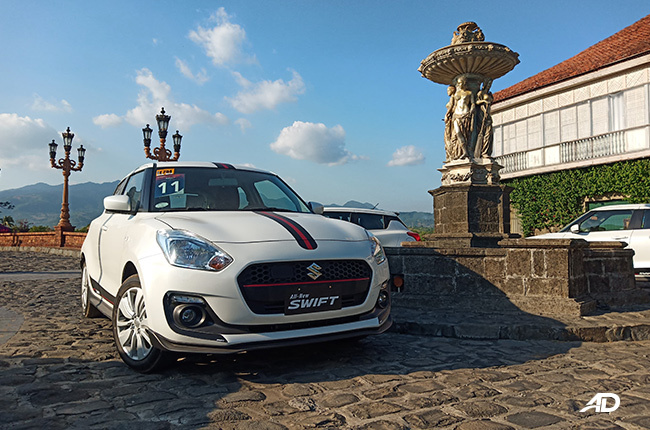 Also, Suzuki Philippines armed us with special-edition 2019 Swift GL CVT during the drive. 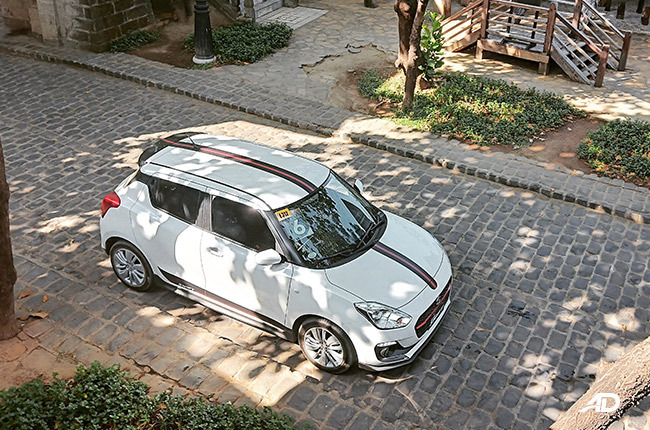 It has carbon fibre stickers, bumper lip, side skirts, rear lip diffuser, rear spoiler, and black-and-red racing stripes. 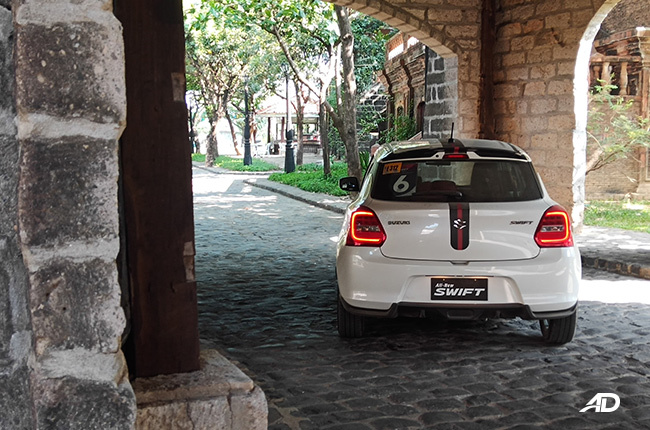 Honestly, I wished it was the 2019 Swift Sport instead but I’ll give Suzuki Philippines some time. I’ll still hold on to the idea that it’ll eventually bring it here. 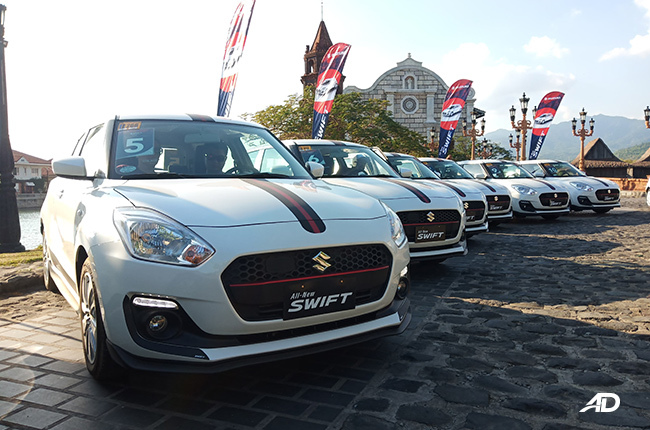 When I hopped inside the 2019 Swift before we flagged off from Suzuki Caloocan, I wasn’t expecting that it would be one of my most exciting media drives – not to mention, there were more than 10 identical-looking Swift units plus a few more Suzuki cars in the convoy; 24 in total to be exact. 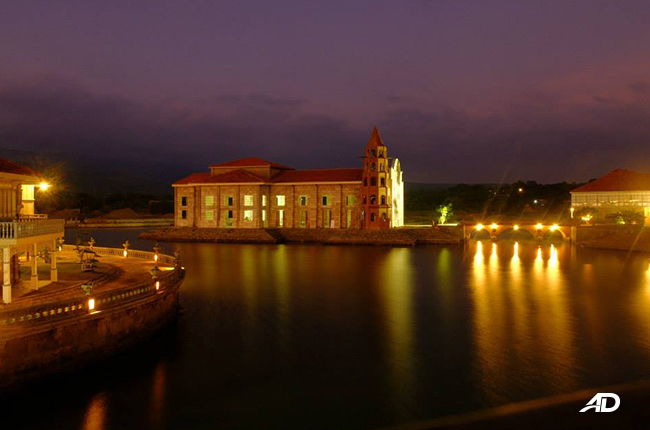 For the record, I have been to Las Casas but that was exactly four years ago. I’ve always wanted to go back there and I made a little goal of visiting again with a special someone. Fortunately, I did, though not with my special someone but a special something. 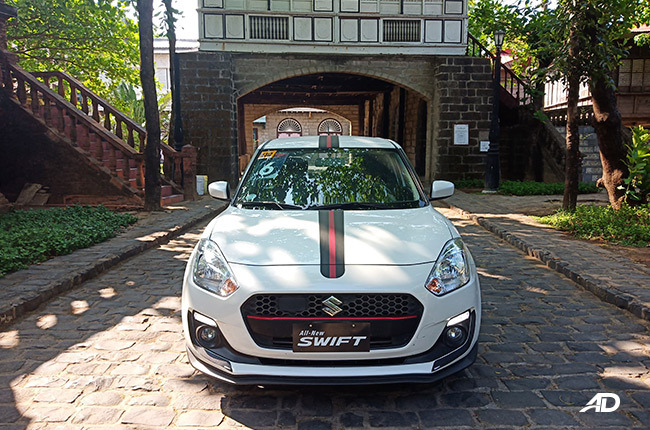 The 2019 Suzuki Swift, which promises to uplift anyone who gets to drive it, did not just raise the spirits of everyone in the media drive, it even brought us back to the Spanish Colonial era. Time traveling with the Swift took us about four hours on the road. 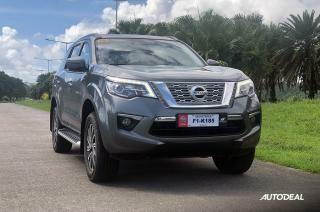 I know it’s too much for time travel but trust me, enjoyment brought by the driving experience and fellow media companions made it feel like a snap. Upon arrival, we were greeted by a couple of gwardya sibils (civil guards; colloquially, beneméritas) and suddenly, we were in the 1800s. I jave to say that walking on a road of cobblestones gave a satisfyingly odd feeling, especially knowing that’s how it felt to walk outside a well-developed Philippine town 200 years ago. 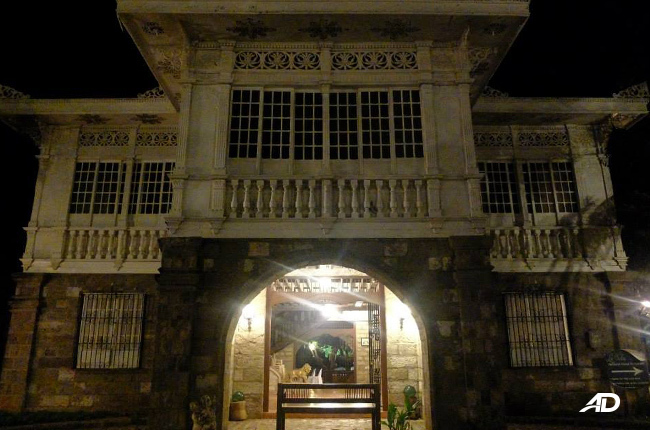 I heard a bunch of creepy stories about staying in Las Casas, most of them would make you want to stay home and cancel your booking. However, I treat them as part of the adventure, as it completes the experience, though I didn’t feel or see anything after staying there recently. Vincent (Caco’s entitled camera guy) and I stayed in a four-pax room with two queen size beds and an actual room-size bathroom that comes with a bathtub. Oh, there’s this creepy cabinet with a mirror, too, by the way. 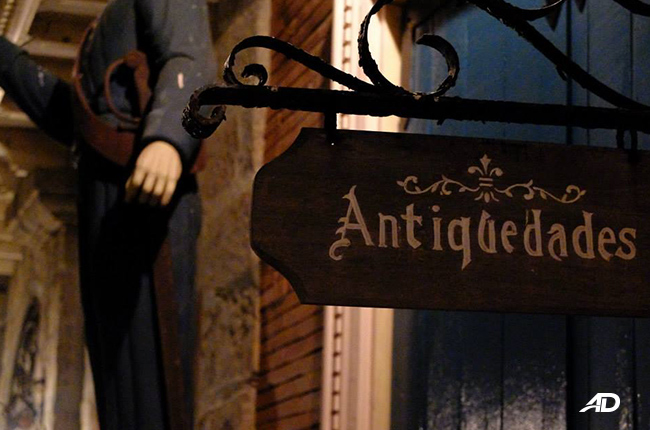 Touch the walls and it feels like you’re channeling the old memories back from the Spanish Colonial Philippines. At some point, you’d be thinking you’re touching the same stone a Philippine hero once touched – I swear, it wasn’t as crazy as it sounded when I gave it some thought. 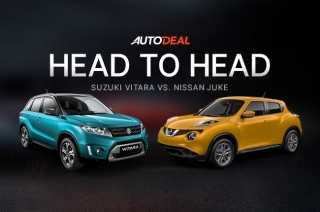 Remember when we travelled back in time to ask famous Philippine heroes what car they prefer? 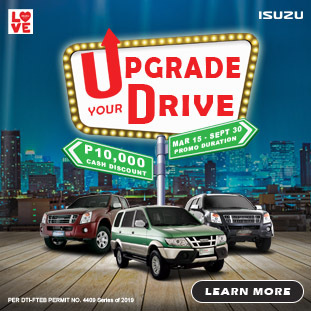 This time, Suzuki Philippines fulfilled that outrageous idea. 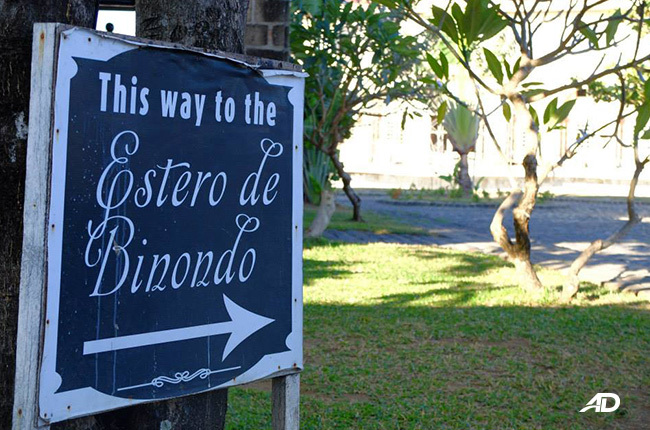 Unfortunately, the media drive arrived there around the time Rizal was in Madrid, Luna was out harassing every foreigner he saw, and Mabini was having a medical appointment. Time traveling is dangerous – that’s how science cares to describe it. Scientists said, if we ever find a way to travel back and forth in time, we could risk ripping our molecules apart like the idea of a pulled pork sandwich. 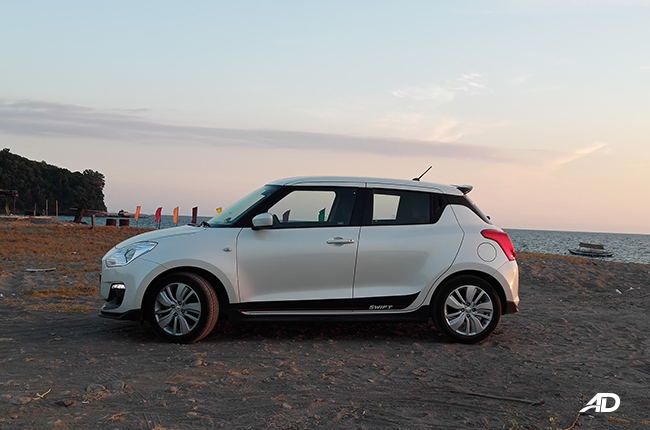 That was exactly the opposite experience inside the 2019 Suzuki Swift. 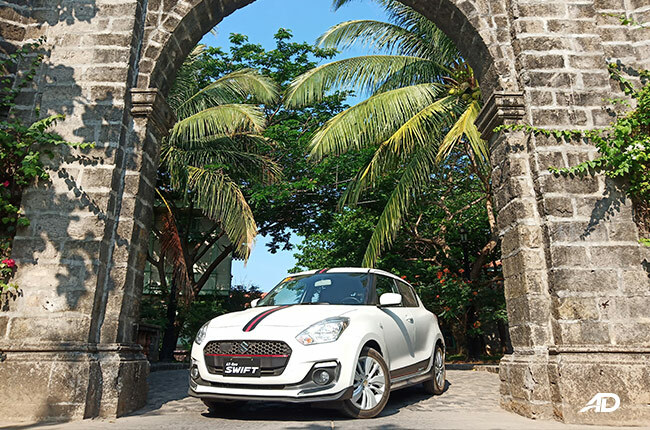 It drives almost like a go-kart with its nimble steering in corners. 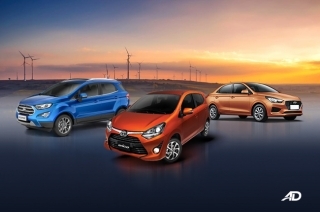 The CVT gives a refreshing experience as it gives out smooth power delivery every time. 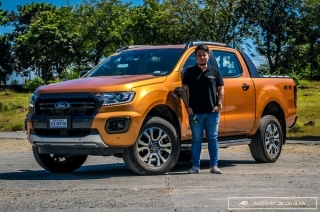 The suspension was not harsh, as it can handle Bataan’s dilapidations – which is great when you stumble upon debris or potholes. 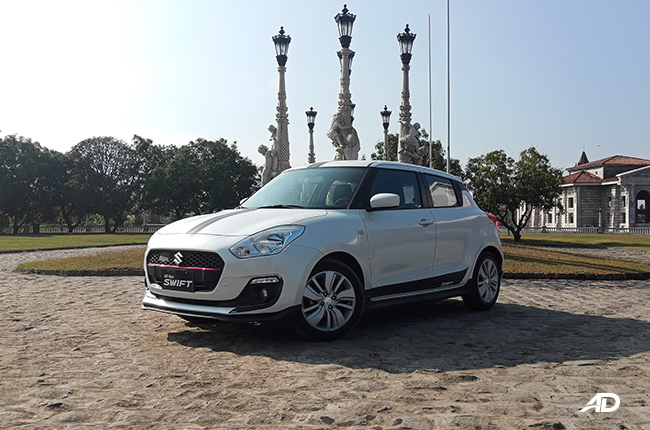 Power-wise, I doubt that it can outrun McFly’s DeLorean but the 2019 Suzuki Swift gives substantial power on the highway. Flooring the pedal won’t pull you back into your seat but it sure brings you to where you’d want to be as smooth as possible. 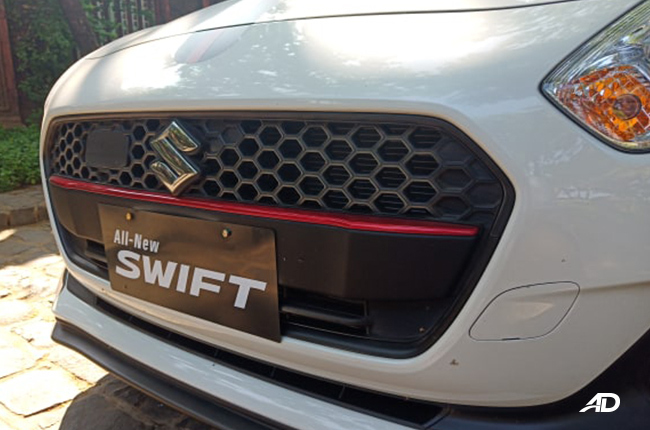 The 2019 Swift is powered by a 1.2-liter K12M engine that has been carried over from the previous model but revamped to give 82 hp and 114 Nm of torque. For entertainment, it’s got a seven-inch MP3 and WMA-compatible CD player that comes with front and rear speakers. It has AUX, Bluetooth, and USB for easy mobile phone connection. The summer heat was barely a problem, considering that the unit’s windows were not tinted. Just give it a few moments after blasting the air conditioning controls during ignition and the temperature’s alright again. Apparently, there were no grab handles which is a compromise for a real time machine but not that much for a car. How much are you willing to pay for a time traveling device? Some people’s concern points down to the vehicle’s actual price tag. Will it hurt the wallet? 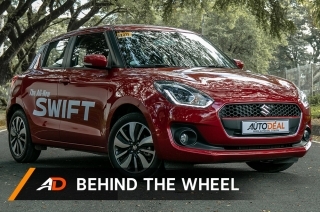 The 2019 Suzuki Swift retails at P799,000, which is a great bargain for a good-looking, well-performing CVT hatchback. 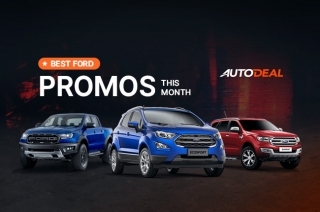 I’d say the vehicle can justify the numbers based on my experience. 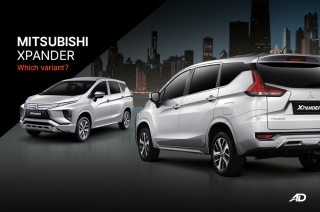 It's got decent handling, smooth driving, and the millennial-approved exterior design. There’s enough cargo space for three duffle bags stacked with three more backpacks on top of each. Leg room was fine for a 5’4” guy like me and I think for slightly taller ones, too. 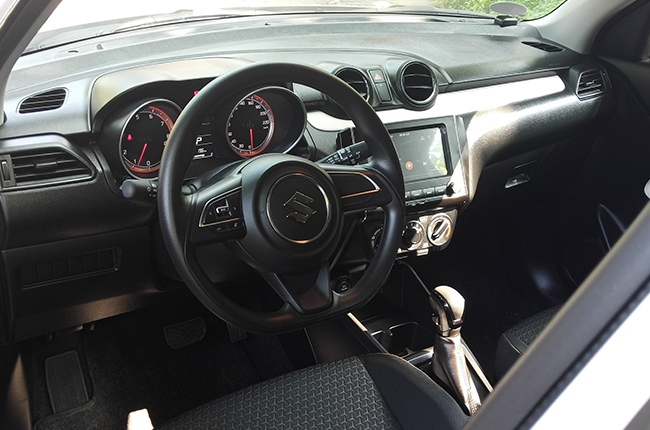 In addition, it has dual front airbags, ISOFIX, height-adjustable three-point seatbelts, anti-lock braking system, electronic brake distribution, and electronic door locks. 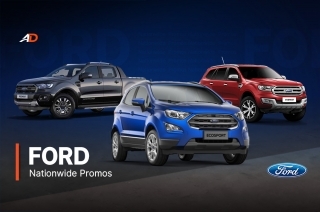 You may find two or three of these missing in some segment competitors with similar price range. 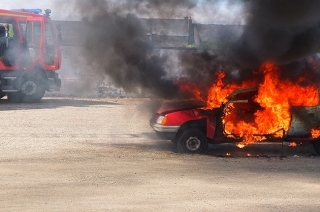 It’s always a good thing to consider safety when looking at the car’s value, right? More importantly, safety in traveling back to the future is a must to keep your organs intact. Hi, I would like to receive a financing quote for the Suzuki Swift 1.2 GL CVT, thank you.